How’s this for a vacation activity? 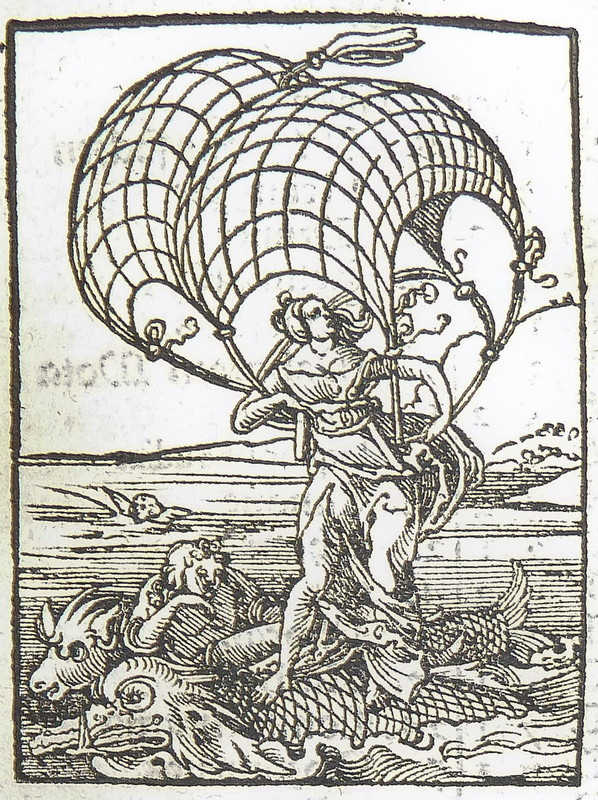 This woman appears to be parasailing or windsurfing on a fishy sea monster! This wood block image was apparently a printer’s device used by a printer in Nuremberg in 1562. Since it’s freestanding rather than illustrating any particular text, I have no information about the identity of the woman, or what’s actually going on here. Is she a nymph or a goddess, or an athlete? Is she riding the fish by necessity or for recreation? Who devised the sail and harness, or tamed the fish, if indeed it’s tame? 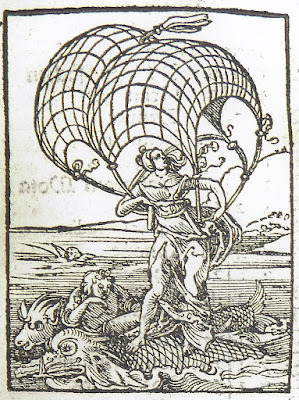 Will she take off from the fish and parasail as it pulls her? Or is she surfing fishback? Who is the companion riding alongside our intrepid bathing beauty, on a sort of sea pony of his own? And is that a cupid swimming in the background? So many questions; so many possibilities. What do you think is happening in this scene? And just as interestingly, what do you think the artist who designed this block was thinking in the sixteenth century, presumably before either surfing or parasailing was known in Nuremberg?